This 25-pack of top-loading Pocket Pages with Inserts from Archival Methods includes 10-pt. black inserts where you can mount single or multiple images with photo corners or double-stick tape. Captions or notes about the images can be written directly onto the inserts, which are made of acid-free card stock. 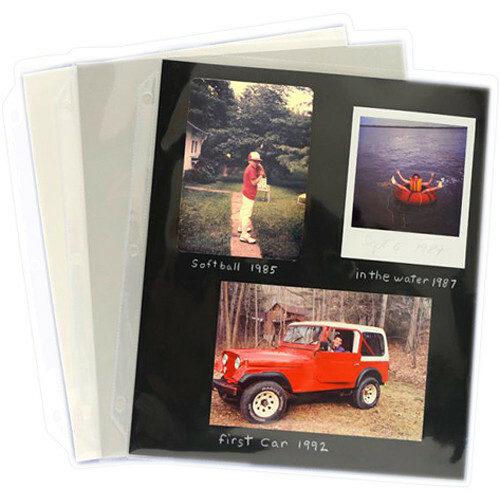 The archival polypropylene pages have a standard 3-hole punch, making them compatible with 3-ring binders and albums. Box Dimensions (LxWxH) 11.7 x 10.55 x 0.85"